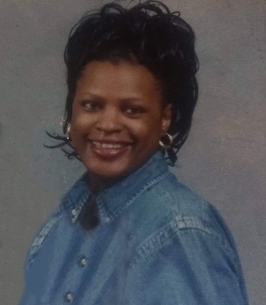 Tonnette Albert Brewer Service Details - Greenville, South Carolina | Watkins Garrett & Woods Mortuary Inc.
Ms. Tonnette Maria Albert Brewer, 57, of Greenville, South Carolina, passed away on Wednesday, October 10, 2018, at Greenville Health System. She was a daughter of the late Horace Albert, Sr., and Alleen Irby Albert. She was educated in the Greenville County School System and attended Wade Hampton High School. Tonnette worked for St. Francis Hospital in the Hospitality Department for many years until her health began to decline. She had battled with her sickness for over 19 years, during this time she has kept the faith. She was a member of Enoree Baptist Church. She was an aspiring model in the local market of the Millie Lewis Modeling School. She mentored young females on how to apply their makeup and was a salesperson with Mary Kay Products. Tonnette was preceded in death by her parents, Horace Albert, Sr., and Alleen Irby Albert; brothers, Sammie Lee Irby and Stevie Lee Albert; one sister, Toni Renee Albert; maternal grandparents, Henry and Elizabeth Irby; and paternal grandparents, Henry Albert and NancyTaylor. Left to cherish many fond memories are her son, Perry Jemal Brewer, Jr., of Greenville; three sisters, Thomasina Albert Brown, Thelma “Lena” Albert Walker, and Tammie (Marcus) Albert Bembery, all of Greenville; two brothers, Horace (Victoria) Albert, Jr. of Simpsonville and Taurus “TJ” Jermaine Albert of Mauldin; two aunts, Annie Lou Irby and Josie Mae Thomas, both of Greenville; and a host of nieces, nephews, cousins, and friends. We encourage you to share any memorable photos or stories about Tonnette Albert. All tributes placed on and purchased through this memorial website will remain on in perpetuity for future generations. I am sorry for the loss of your love one, Ms. Tonnette Albert Brewer. Expressing my sincere condolences to the family. May the God of all comfort sustain each one of you during time of grief. 2 Corinthians 1:3,4. Sending my deepest sympathy to Tammy Bembery and family during this time of bereavement. My prayers are with you. I’m an so sorry for your loss. May God be with you. I am so sorry for yhe loss of your loved one, Losing a love one is the most devastating trial we have to face. Soon Isaiah 25:8 will come true when he will swallow death forever. then PSALMS 37;11,29 will be a reality.